Inclusion of computational materials engineering into currently established integrated product development processes increase the competitiveness of any manufacturer that chooses to implement it. Material science is the oldest of all science and engineering disciplines. It is not an overstatement to say that materials science has transformed human history. The Bronze Age and the Iron Age defined the rise and fall of complete civilizations. The economic might of the industrial revolution was built on the Age of Steel. 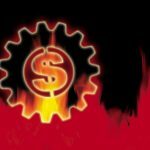 Our current economy is based on the Silicon Age. Almost all other science and engineering disciplines have embraced the Silicon Age for its development of computational software tools to simulate physics, chemistry, and biology, and therefore speed product development. In this sense, material science still lags behind. Gear manufactures continue to have a “let’s make it and break it” overall outlook relative to understanding material behavior. 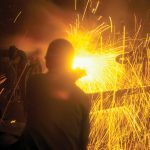 The National Research Council’s committee on Integrated Computational Materials Engineering’s (ICME) 2008 report emphases the critical need for integrated material prediction tools to increase future efficiency of American manufactures. 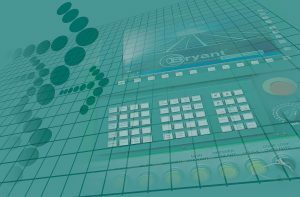 Extensive libraries of integrated computational tools are available for structures, heat transfer, fluid dynamics, tribology, electronics, and manufacturing. 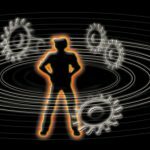 These tools have radically reduced the time required to optimize new products for decreased cost and increased performance. However, analogous computational tools are not widely used in materials engineering. 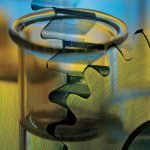 As a result, the product design and development cycle now outpaces the materials development cycle, leading to a considerable mismatch. The insertion of new materials technologies has become much more difficult and less frequent, with materials themselves sometimes becoming the constraint on the design process. New materials insertion into a new gear design takes 10 to 20 years. Designers generally do not think of materials as something that can be engineered to their needs. Therefore, materials are generally thought of as coming from a static menu from which the design team must choose. 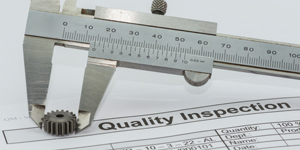 Because a design team knows that most materials have a broad range of material properties, a safety factor or “strength penalty” is applied to thickness, bulk, volume, etc. The safety factor hedge may reduce risk but it also adds weight to the gearbox and unnecessary weight reduces performance. Inclusion of computational materials engineering into currently established integrated product development processes will increase the competitiveness of any manufacturer that chooses to implement it. These tools promise to shorten the materials development cycle by up to 90 percent. 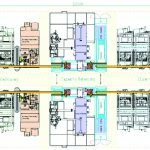 Computational engineering gear design software has now been in commercial mainstream use for 40 years. One has to ponder why such tools have not become mainstream for materials engineering. The most obvious conclusion is that material performance is governed by a microscopic size scale several times smaller than that addressed by other engineering design tools. 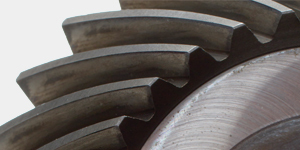 While most computational tools operate at the visual level, gear failure caused by fretting and fatigue is often governed by the smaller microstructural scale. At the microstructural scale, it is commonly known that commercially available computational design tools are ineffective. The random nature of the material microstructure becomes significant and commonly used engineering tools can not handle the truly random nature of these tiny structures and the material gradients caused by surface treatments. Although some commercial software packages do have a built in probabilistic option, this was an afterthought to an existing deterministic code, thus they are cumbersome and computationally prohibitive for microstructural analysis. Any computational tool for material engineering has to be probabilistic based—explicitly accounting for the randomness and uncertainty that exists in microstructural parameters—to provide for any real world accuracy. An achievable near term goal is the integration of computational structural models with probabilistic microstructural lifing models to design gearbox components with an ICME technology developed by VEXTEC know as Virtual Life Management® (VLM®) as shown in Figure 1. 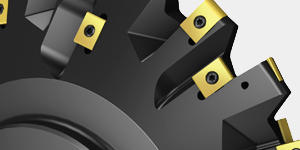 The primary goal of the gear designer is to optimize the component for lowest cost, lightest weight and longest life. However, gears are seldom optimized concurrently with the development of the component manufacturing processes. This leads to sub-optimal designs. 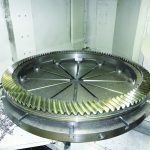 Gears are often machined from turned or forged blanks that inherently have significant variation in microstructure (grain size, grain orientation). Further, manufacturing processes induce residual stresses that are not always evaluated explicitly and accounted for in the scatter within life calculations. With all these variations, current lifing approaches are primarily empirically based, relying heavily on limited experimental data and past experience. The manufacturers traditionally perform standardized gear and specimen tests (smooth and notched) on specimens drawn from various locations of the gear to account for the variability in mechanical properties (yield strength, fatigue strength, crack growth, surface treatment) to determine the minimum mechanical property specifications. 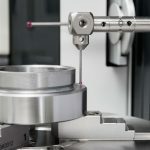 Because there is seldom time or money to test enough gears and specimen to fully characterize the scatter in the material properties (especially with regards to fatigue and wear), the properties are reduced by empirical safety factors for use in lifing calculations. 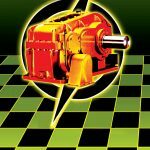 This results in a non-optimized approach that significantly impacts the life cycle costs associated with operating gearboxes. 1. 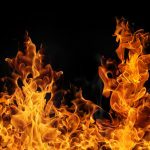 Durability is not a function of applied stress, alone, but rather a combination of that stress and the material’s reaction to it. 2. The microstructures of the materials used to build complex components and systems are not homogenous. 3. Computer cycles are significantly shorter and cheaper than physical testing cycles or prototyping. Using these ideas as a foundation, the virtual lifing simulation technology is a computational framework that accurately accounts for a material’s reaction to the stress imparted upon it, its variability and all its various damage mechanisms, its geometry, and the conditions of its usage over time. The result is a virtual rendition—a gear simulation that accurately and efficiently reflects the real world physics of how, when, where and why damage occurs. A gear is really an assembly of millions of individual material grains (such as highly anisotropic configurations of martensitic packets) of minute size that have been formed together to make up its microstructure. The process of manufacturing creates a variety of material microstructure complexities within each product coming off the assembly line. 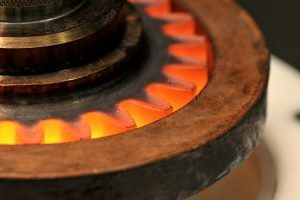 In the field, as gears are flown, driven, pushed, pulled, heated, cooled, or exercised in any combination of ways, stress is imparted on the gear and absorbed throughout its material microstructure. 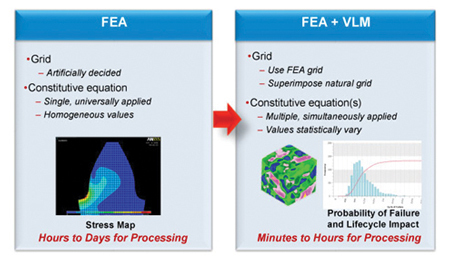 Computational software like Finite Element Analysis (FEA) predicts how this energy is distributed in unequal patterns. 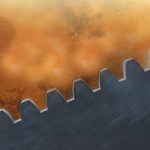 However, it’s well known that not all gears failures occur at the highest stress areas, nor do they originate at the global component level where FEA is applied. Failure is actually a localized process that is governed by the combination of stress and the material microstructure itself. 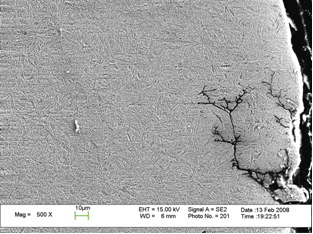 Figure 2 shows a microscopic side view of forged AISI 9310 steel gear tooth of material microstructure and fretting fatigue cracking following along the microstructural martensitic lathes. VLM simulates this microstructural response to stress by creating virtual 3D representation of the granular arrangements in the component and passing the global component stress indicated by the FEA gear model down to the individual material grains as shown in Figure 3. The probability of degradation is predicted for every simulated grain, and gear durability is derived by aggregating the results of those millions of grain degradation simulations. In addition to simulating every grain within the microstructural arrangement, VLM also simulates the effects of voids, inclusions, defects, grain boundaries, and surface treatments, in short, all the various features that are derived from real world processing, to determine how they, too, will react to the stress energy imparted upon them. To forecast the durability of large gear fleets being operated in complex in-service usage scenarios, cloud computing is used to conduct many simulations. 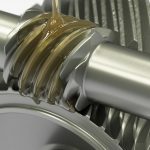 Simulating 10,000 gears in a variety of loading conditions requires computer processing times measured in hours rather than months or years. The process for developing a VLM simulation begins by configuring the model to represent the geometric and loading conditions as well as configuring the material to represent the nuances of the production process to be used. The simulator is calibrated with whatever is “known” about product performance; whether that is existing in-service failure data or experimental results. Recently, VEXTEC partnered with Purdue University and Chrysler Corporation to develop ICME based fatigue failure models to allow for explicit prognosis of air vehicle gear components and systems for the U. S. Navy. 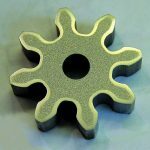 This was successfully accomplished by developing models for simulating tooth bending and contact fatigue failure modes in gear components. The model incorporates the realistic uncertainties in manufacturing, past usage and future usage to determine the current probability of failure and the probability of failure in the future. 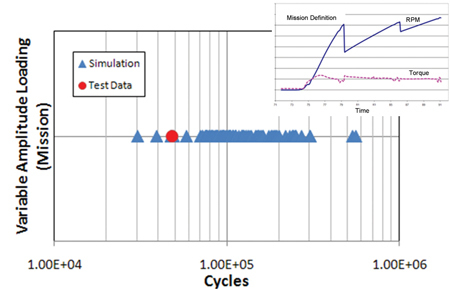 The simulation provided an opportunity to improve gear design, fault detection and maintenance capabilities that are critical to fleet sustainment and lowering life cycle costs. 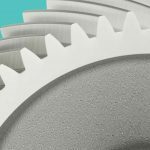 In addition, this model-based prognosis can be integrated within the manufacturer’s design system to predict the probability of in-service gear failure during the gear design, prototyping and manufacturing process. The program initially examined a sun gear on a helicopter. 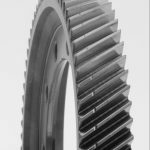 To determine the stresses on the gear as the teeth mesh and unmesh, a finite element analysis was performed to determine the stresses throughout the gear teeth as shown in Figure 4. Purdue’s CAPRI™ software was used to determine the local surface stresses at the leading edge of contact (Figure 4). This is the complex stress distribution that drives gear fretting. The VLM approach was used to explicitly model the gear material microstructure and the localized stresses of the tooth. This technique is deployed within a probabilistic framework, which accounts for geometric variation that has a significant impact on gear component strength. 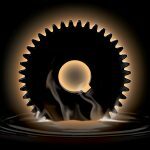 This led to successful prediction of the gear damage and also the effects of various gear manufacturing processes and surface treatments on the gear fatigue durability. The results of this analysis on the sun gear are shown in Figure 5. Modeling 100 sun gears showed that 4% would need to be replaced before reaching their design goal of 48,000 missions. This is in agreement with field service data. Analysis of the same gear, with the same loading using current standards and traditional empirical methods predicted the gear would not fail. The simulation technique was also applied to case-hardened AISI 9310 steel laboratory test data. Figure 6 shows two sets of test data and predictions. On the left is tooth bending test data from NASA (NASA-CR-195093). On the right is contact fatigue data generated for this study by Purdue University. In both cases, the correlation is very good. Based on historic standard aerospace application gear tooth bend testing, it is estimated that it would cost over a million dollars to collect the 21 physical test data points, similar to Figure 6. At 10X less cost, VLM produced over 10,000 virtual test point simulations for both failure modes (fretting and tooth bending fatigue). With respect to an automotive application, a Chrysler 9310 case hardened sun gear was evaluated using the simulation technique, specifically to predict tooth flank pitting behavior. The simulation results were compared with dynamometer test results, and correlated extremely well with observed pitting behavior. This is very important as a means of improving the accuracy where prediction of gear tooth flank pitting life is needed. The simulation technique included the effects of the material characteristics, tooth microgeometry, surface finish, residual stress profile, and mission profile. After calibrating the Pyrowear 53 model to notched three-point bend data from the literature, the model was applied to the three configurations. 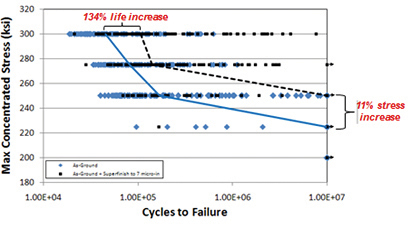 Figure 7 shows that superfinishing more than doubles the mean lifetime of the gear at all stress levels. More importantly, the simulation predicted that the reliability of the gears would also improve. The B1 lifetime (the number of fatigue cycles at which 1% of the gears would fail) significantly improved at all stress levels. The ability to predict B1 lifetime is significant because traditional lifing methods would only predict the life of average gear (or use a safety factor of “worst case” loading and/or geometry). To determine the B1 lifetime of the gear using traditional method would require expensive testing of many samples. The concepts of ICME were used to develop a more cost-effective approach to gear life forecasting, based on Virtual Life Management (VLM) technology. VLM simulations are built on a computational framework that utilizes physics-based material micromechanics to predict the damage state and a probabilistic approach to variability to accurately quantify the risk of gear failure. 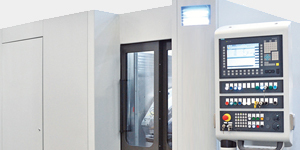 • The variations in the manufacturing process, operating conditions and applications in use. 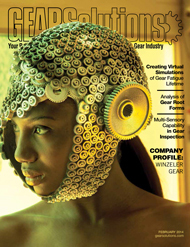 • Directhttp://www.gearsolutions.com/admin/articles/ly applicable to multiple-materials. • Reduced warranty costs due to increased accuracy of life calculations. The lifing issues identified in this paper are not limited to gears. 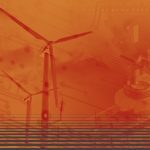 The VLM methodology is applicable to any material and any structure, and VLM has been proven in applications in many industries including aerospace, automotive, defense, and medical devices. The authors would like to thank William Hardman and Charles Huffman of the U.S. Navy Naval Air System Command for their financial and technical support and Professor Thomas Farris of Rutgers University (formerly of Purdue University) and his students for both analysis and testing of fretting fatigue wear specimens. 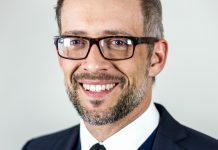 is manager of modeling and simulation at VEXTEC where he has been involved product life cycle solutions and project management for over 10 years. 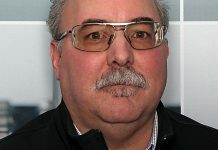 He has expertise in gears and drive trains for aerospace, automotive and heavy industrial equipment. He can be reached at gkrishnan@VEXTEC.com. is associate professor at Purdue University where he works in the area of multiscale simulations and experimentation of material failure with an account of microstructure level properties. 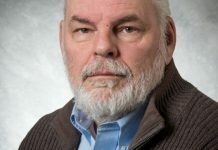 is Senior Fellow at VEXTEC. He has over 30 years experience in developing structural and heat transfer analysis methods. is CTO at VEXTEC where he develops probabilistic microstructural material models. 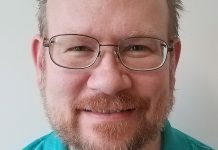 is senior fellow at VEXTEC. He has over 30 years experience in computational fatigue and fracture analysis of rotating components.